Some of these links lead to full papers, others lead to abstracts and summaries of research which require a fee to view. David Worrell. Guidelines for the Management of Snakebites. World Health Organization. 2010. Download free PDF here. 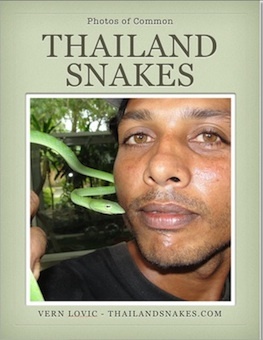 Vern’s Note – this is a must have document for every snake enthusiast in Southeast Asia. It is the best resource ever created on the subject. Grab it now before it disappears. This was selling for over $120 at one point. If, for some reason this link doesn’t work, write me at the contact page and let me know. Chetan Rao, Gautam Talukdar, B. C. Choudhury, P. Gowri Shankar, Romulus Whitaker, and Matt Goode. Habitat Use of King Cobra (Ophiophagus hannah) in a Heterogeneous Landscape Matrix in the Tropical Forests of the Western Ghats, India. Download free PDF file here. Vern’s Note – this is an excellent article from Rom Whitaker and crew out of the Agumbe Research Center in India. To download the file, you must register at Academia.edu as an independent researcher or choose something else if you’re a published researcher. Bhaisare, D., Ramanuj, V., Shankar, P.G., Vittala, M., Goode, M. and Whitaker, R. 2010. Observations on a Wild King Cobra (Ophiophagus hannah), with emphasis on foraging and diet. IRCF Reptiles & Amphibians 17(2): 95-102. Download free PDF (link went bad, removed). 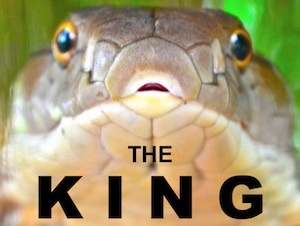 Vern’s Note – this covers behaviors observed by a male king cobra over a period of three months. Stalking of pit vipers as primary prey is revealed. King cobras display extreme dedication to hunting their prey, including climbing high up into the canopy to follow the relatively small meal of a pit viper. Kings were observed to eat a pit viper just over once every three days. This is a fascinating article. Must read. Romulus Whitaker, Matt Goode, and P. Gowri Shankar. Application of Radio Telemetry Techniques in Snake Research: King Cobra in Agumbe Karnataka, India. in Wildlife Science. Download free PDF (link went bad, removed). Vern’s Note – this is an excellent overview of the radio telemetry process used in tracking king cobras. 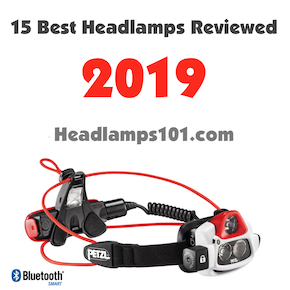 It mentions a bit about the process, the technology, and some of the behaviors observed as a result of using this technology. P. Gowri Shankar and Nikhil Whitaker. ECDYSIS IN THE KING COBRA (Ophiophagus hannah). Russian Journal of Herpetology Vol. 16, No. 1, 2009, pp. 1 – 5. Download free PDF here. Vern’s Note – joining the Russian Journal of Herpetology is required for full access to this paper. It’s free and enables you access to many other papers. Highly recommended. The paper is about Ophiophagus hannah sloughing (shed) research. Tom Charlton. Wild Caught King Cobra Acclimation to Captive Environment (Feeding). EcoAnimalEncounters.co.uk. Article here. 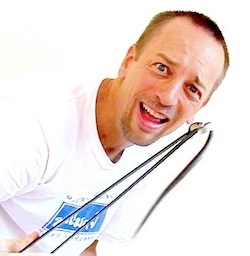 Vern’s Note – Tom is a successful venomous snake breeder located in the United Kingdom. Vern Lovic and Elliot Pelling. How Sharp Are Juvenile King Cobra Fangs? ThailandSnakes.com. Article here.